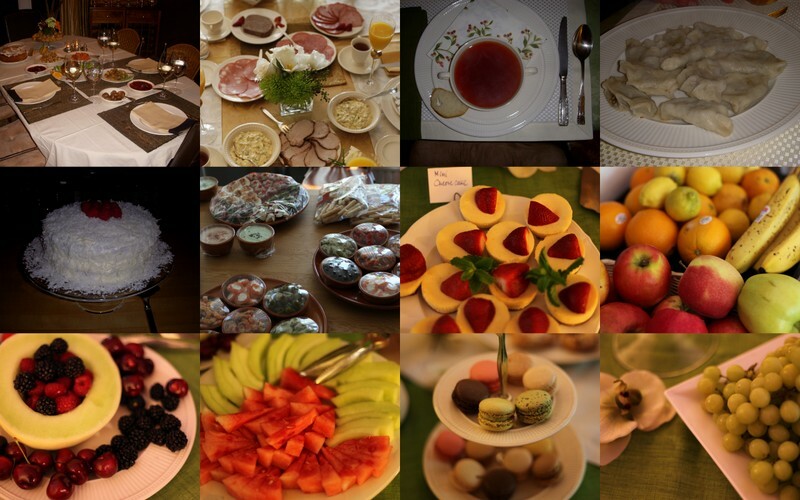 Today, I’m featuring a guest post on Culture With Travel by Cami Adventures. 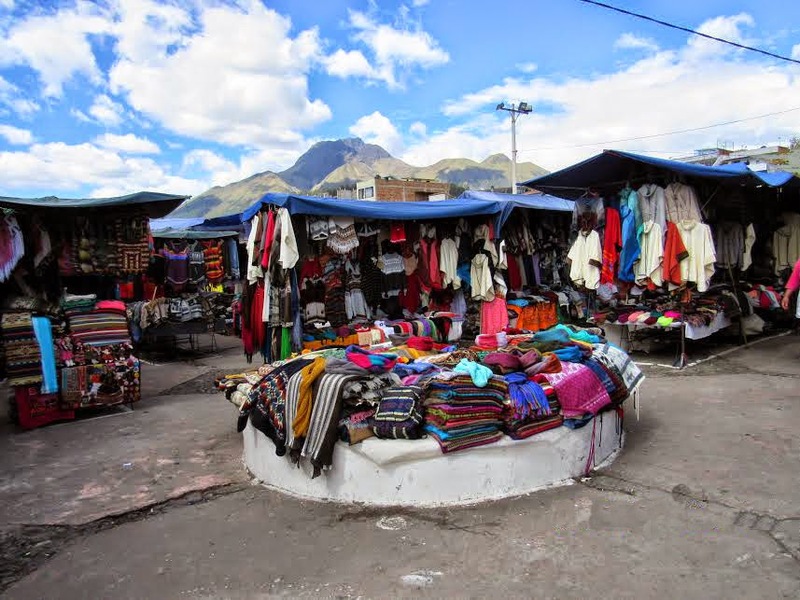 One of the most famous and visited places in Ecuador is the Otavalo Indigenous Market, also known as Plaza de los Ponchos, undoubtedly one of the most important and spectacular markets in all of Latin America. The Otavalo market is attractive to visitors for both its outstanding shopping and its cultural significance. It is located in the Imbabura Province in the north of Ecuador, where people from all over the world come to see the striking array of handcrafted goods that are available in this local market all the year from Monday to Sunday (but the busiest day is on Saturday). Local people use market day much the way their ancestors did during Ecuador’s pre-Colombian history. The Otavaleños have become the most prosperous and possibly the most famous indigenous group in Latin America, you may have seen them in your own hometown selling their woolen sweaters or strumming Andean tunes. The Otavalo market is a fascinating way to experience traditional Ecuadorian culture and the traditions of the Andes, now besides you will see different indigenous tribes from all over the country come here to sell their goods. The sleepy houses take a sort of scattered appearance and there is a very dominant traditional feel to things. Perhaps it is the high elevation and resulting isolation that has helped to keep the traditional culture here so strong. Then again, perhaps it is the reliance on this culture to make a living that has kept tradition firmly in its place. Whatever the case, Otavalo has a truly unique feel that is quite unlike most other Ecuadorian towns. You’ll find everything from jumpers to armadillo, shell guitars, wall hangings, Andean pipe music, textiles of the colorful displays of woven yarns, a delightful array of jerseys, rugs, blankets, hats and are also popular, as hammocks, jewelry and woven tapestries depicting local scenes and other goods. And also one thing that is nice to see is the Indigenous dressed in their traditional garb. Now and then, you might see a mother carrying her child on her back or perhaps a chicken as she makes her way around the village. So even if you have just come to Ecuador for sightseeing or a short holiday, be sure to include this little village in your plans. No trip would be complete without a little shopping in Otavalo. It’s the best place for souvenirs and original handmade crafts in the country. Early in the morning we drive northern through the Panamerican Highway, crossing the town of Calderon; famous for bread doll figures, then we cross Cayambe surrounded by the heavily cultivated pastures of old haciendas . Where one of the most famous varieties of cheese and salty biscuits are waiting for us. Stop in the San Pablo Lake for few minutes, nice viewpoint at the entrance of the Imbabura province. then we are going to get to Otavalo town where will have enough time to enjoy seeing the colorful market and shopping some souvenirs.- The Otavalos are the most ambitious and wealthy merchants in Ecuador. Ponchos, wooden items and jewelry are sold here. Then we hit to the village of Cotacachi famous for the quality of leather goods at unbelievable prices. Time for Lunch. Shops along the main streets are filled with bags, saddles, jackets, boots, vests and purses for which the city is known. Pm.- Return to Quito.